Our flexible frac sand transport facilities allow us to haul both wet and dry frac sand. This flexibility is appreciated by many frac sand suppliers that obtain their production from frac sand producers in the upper Midwest. In addition to our ability to accommodate nearly any frac sand hauling needs that our transport customers may have, we have frac sand drying plant sites available for development and use. 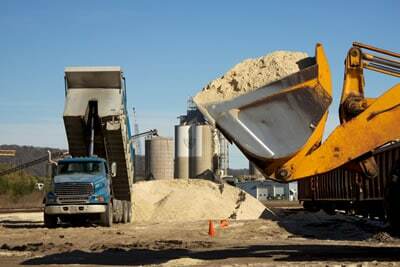 Whether you are frac sand suppliers or frac sand producers, we are ready to work with you – to bring our assets and expertise to bear on your frac sand transport needs.